For almost thirty years I have created a weekly menu for our nightly dinners. Based on this menu I then create a grocery list. I literally do not know how to go to the grocery store without doing this. I tried winging it once, just walking up and down the aisles without a plan in mind. I came home with many things, but not everything I needed for a single meal. Many times I move the dinners around based on what I am feeling like that night or if we decide to go out. Sometimes I do not even make everything on the list for that week, but that just means I am covered for at least one night the next week. I know, I am strange. 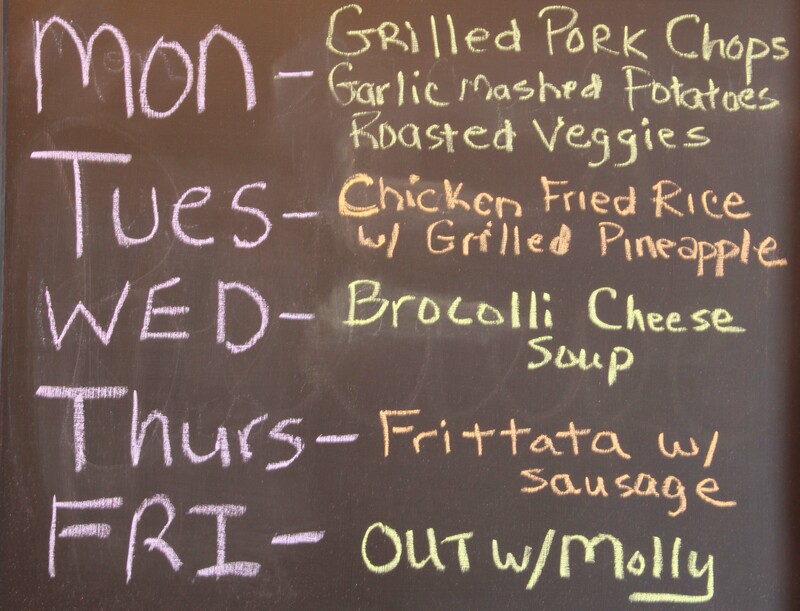 Anyway, I thought for fun I would share this week’s menu with you. Last night Dave grilled pork chops, and I made garlic mashed potatoes and roasted veggies. It was a really good dinner if I say so myself. 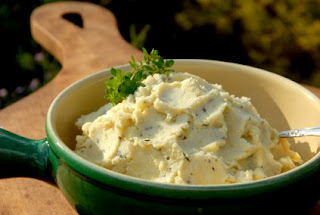 The mashed potatoes are a healthier, lower-fat version than what I normally make. I found the recipe on the Skinnytaste blog. They are amazing, and I did not miss the high fat content at all. For you ww’s out there, they are only 4 points for a generous ¾ cup. If you are looking for healthy recipes to prepare you must check out Skinnytaste. 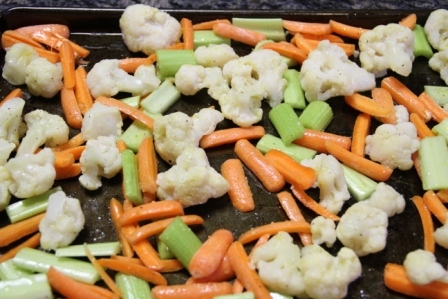 I also roasted a pan of carrots, celery and cauliflower. My love of roasted carrots started at a very young age. Almost every Sunday as I was growing up, my mom made a beef roast with potatoes and carrots for lunch. She also made hot dinner rolls every week. Boy what I would give for one of those rolls right now! My sister inherited her ability to make these rolls without even thinking about a recipe. Unfortunately I did not.